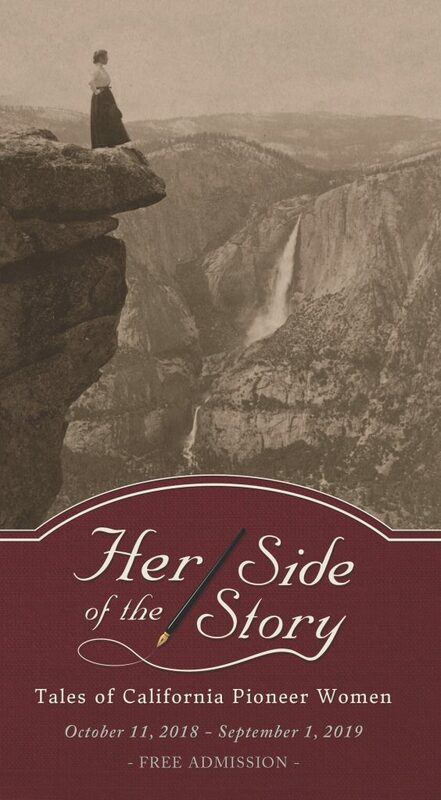 Among the treasures in The Society of California Pioneers archives are rare, first-person narratives by pioneer women. After uniting to ensure that future generations could recognize, and would acknowledge, the role women played in the formation of the state, The Association of Pioneer Women of California collected and preserved the experiences of its members. Bound in an unpublished, handwritten book, their remarkable stories are the foundation of this museum exhibition and online resource for teachers. Click here to visit the exhibition website, where you can read transcriptions of many first-person accounts collected by The Association of Pioneers Women of California, listen to selected reminiscences, preview the gallery exhibition, and download a guide to the free, concurrent museum education program.